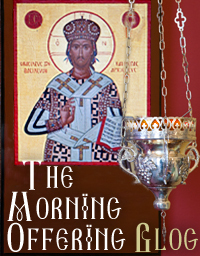 Monastery Wall Calendar for 2019 and Online Gift Certificates now available at our Web Store! A few new offerings available at our Online store…. 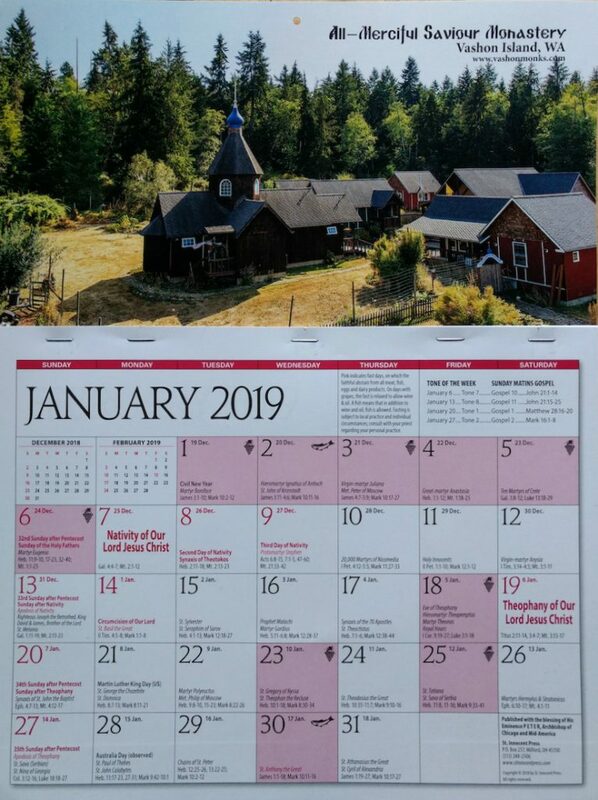 Just received our Monastery Wall Calendar for 2019 – these are available in extremely limited supplies. We now are offering Gift Certificates on our webstore. They make great stocking stuffers! Please keep our monastery and its brethren in your prayers! 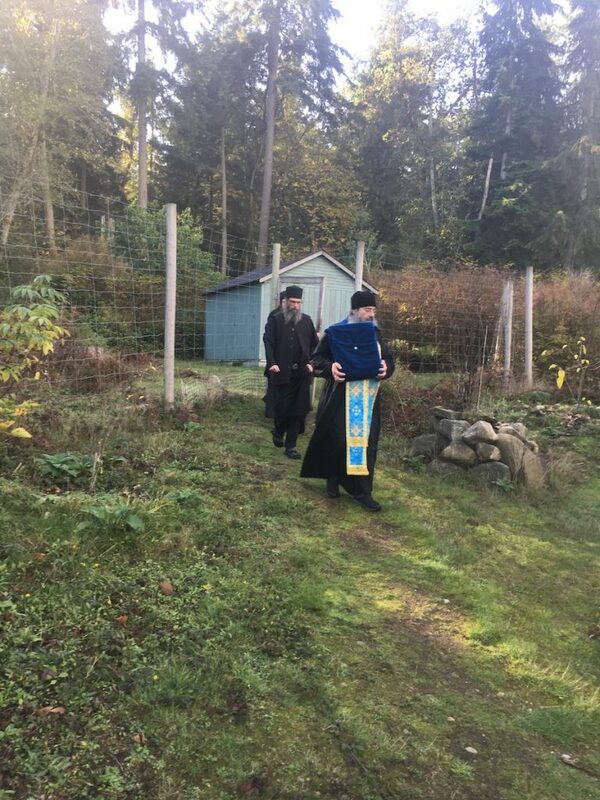 On the evening of Wednesday, November 14th through the afternoon of Thursday, November 15th our monastery was greatly blessed by a visit from the contemporary Myrrh-streaming Miracle-working Icon “The Mother of God of Hawaii”. 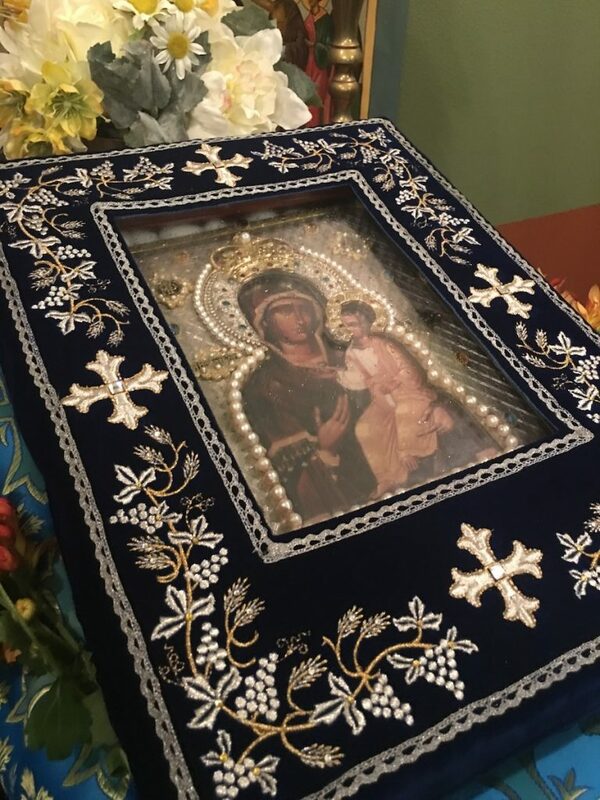 This icon is originally a reproduction of the “Montreal Icon” of the Mother of God, and is also a depiction of the famous Iviron (or Portaitisa) Icon of the Mother of God on Mt. Athos. It began to stream myrrh 10 years ago and has continued to do so since that time. 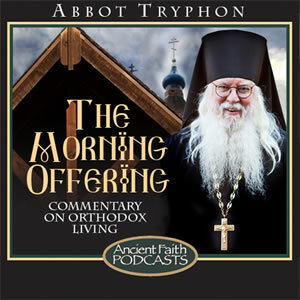 Blessing the Monastery grounds with the Myrrh-streaming Icon of the Mother of God…. The visit was definitely a grace filled one for us and the small handful of pilgrims that were able to immediately rearrange their schedules to make it here during that short window of time available. 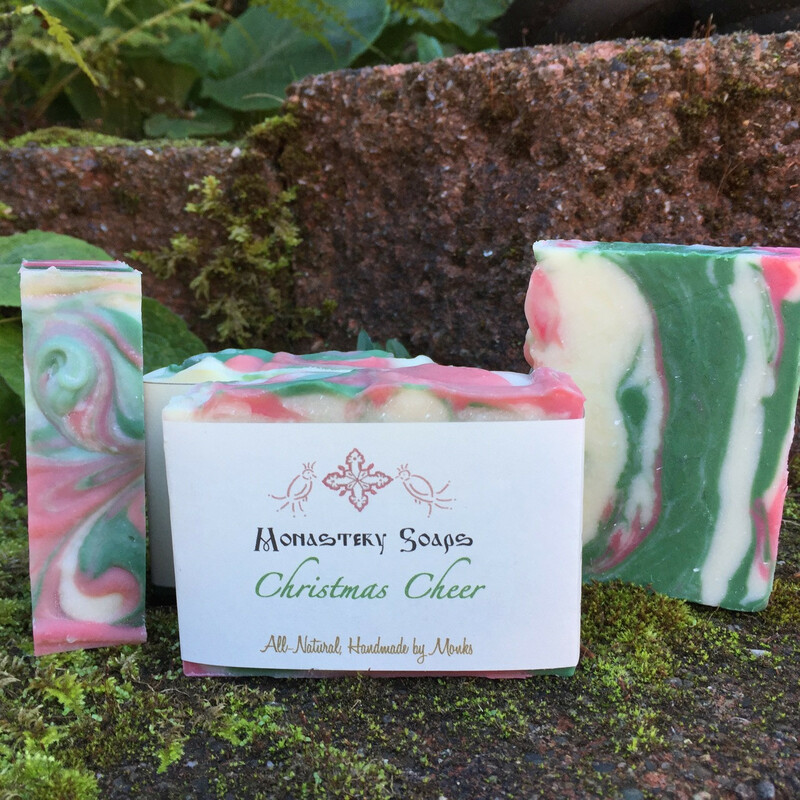 Different Christmas themed soaps are now available! Together with the availability of our seasonal Christmas Blend coffee we are also continuing to make last year’s hot-selling Three Kings soap available once again together with two new variations of soap themed around Christmas: Candy Cane Swirl and Christmas Cheer. Christmas brings to mind peppermint and candy canes. 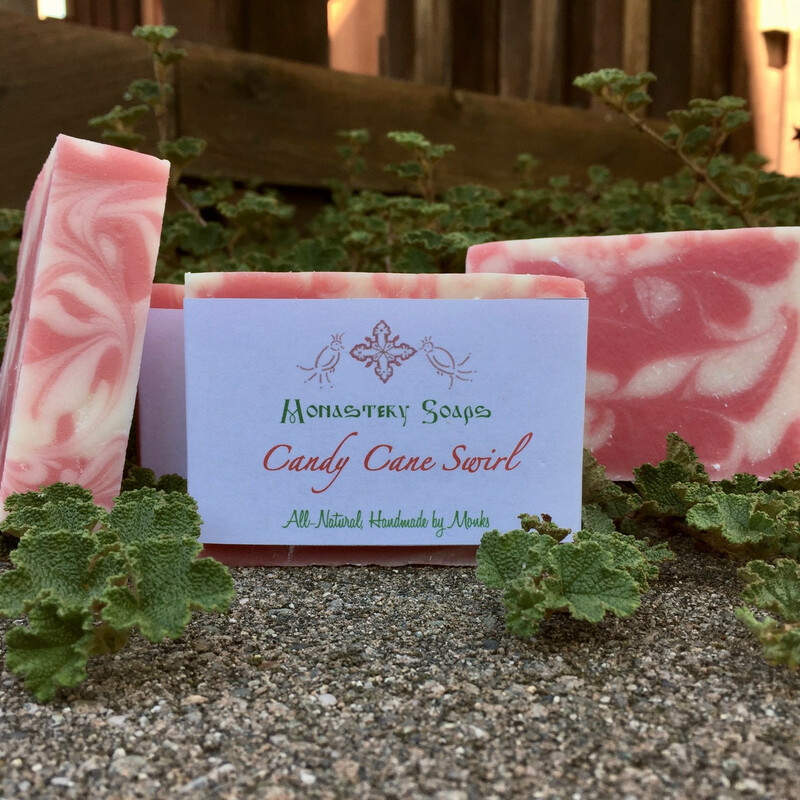 This soap brings those together with a red and white swirl. Minty fresh and cooling. Some will want to use it all year round. This is a soap worthy of kings! We finely grind pure myrrh from the “Horn of Africa.” This is worked into the soap with pure essential oils of frankincense and other botanicals, the outside of the soap is decorated with gold mica and wrapped it in fine gold paper. Myrrh is naturally antiseptic and many believe it to have anti-inflammatory properties. Gold for a king. Frankincense for a God. Myrrh to foreshadow Christ’s death and burial. These three gifts of the wise men were a manifest prophecy of our theanthropic Saviour, Jesus Christ. Christmas is coming! Celebrate the Feast of Nativity with this fine soap as a gift for your loved ones. The colors red, white and green mixed in a festive swirl of color. The fragrance is a perfect combination of Christmas trees and Christmas spices including Siberian Fir, White Pine, Clove Buds and Mistletoe Berries. The pine and spice is tamed down by Pink Grapefruit, Frosted Lily and ripe Pineapple. 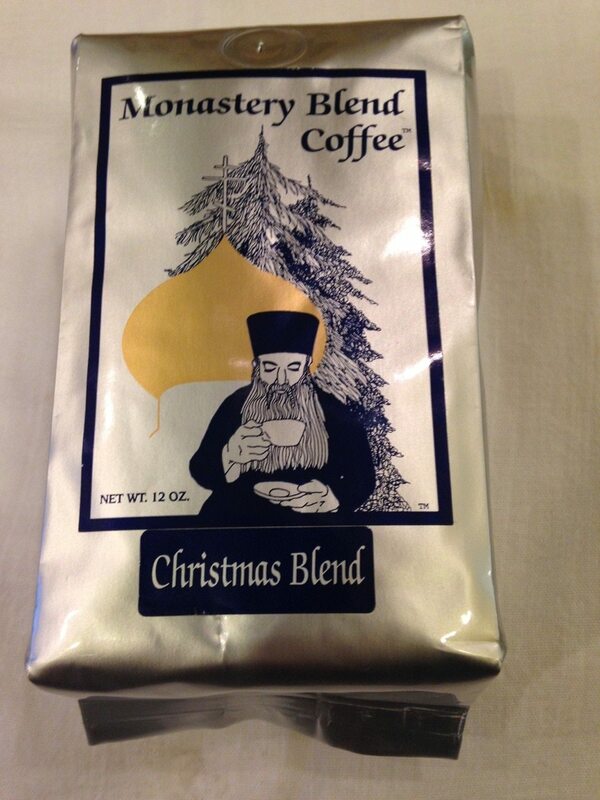 Our Christmas Blend coffee is now available! 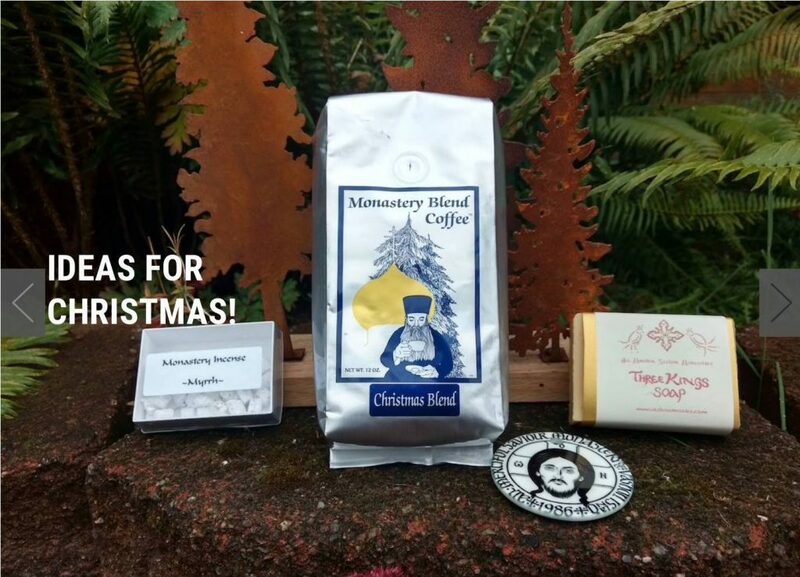 Just a quick note to remind everyone that our Christmas Blend coffee is available now! Also, please note: Orders made with the intent to arrive in time for the 25th of December should be made BEFORE December 15!